Just as my 2010 stock was depleted, I received the 2011 shipment (thank you, parents). 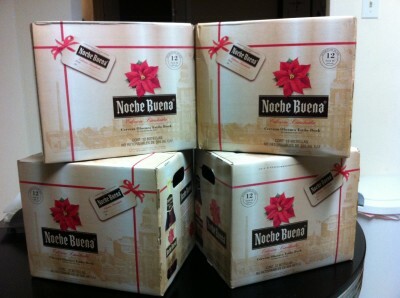 As far as I know, my house is the only household in Austin with a uninterrupted supply of Noche Buena beer since 2002. Feel free to stop by for a cold one! Debe ser una de las pocas casas en el mundo con ese record.